About a month ago I did a post on Entryway Ideas. 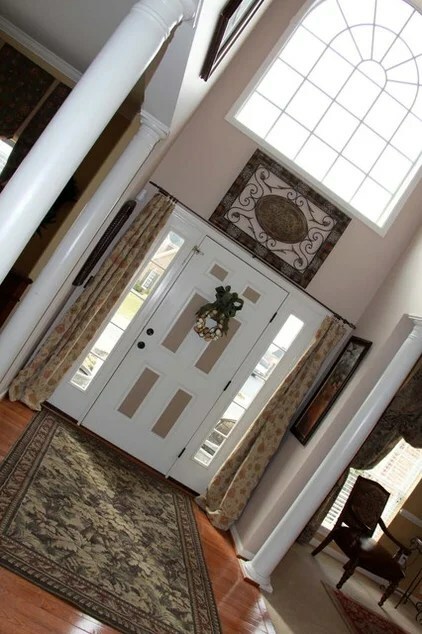 I was looking for ideas and inspirations to update my empty foyer. And I asked you to give me your opinions on the pictures I found. 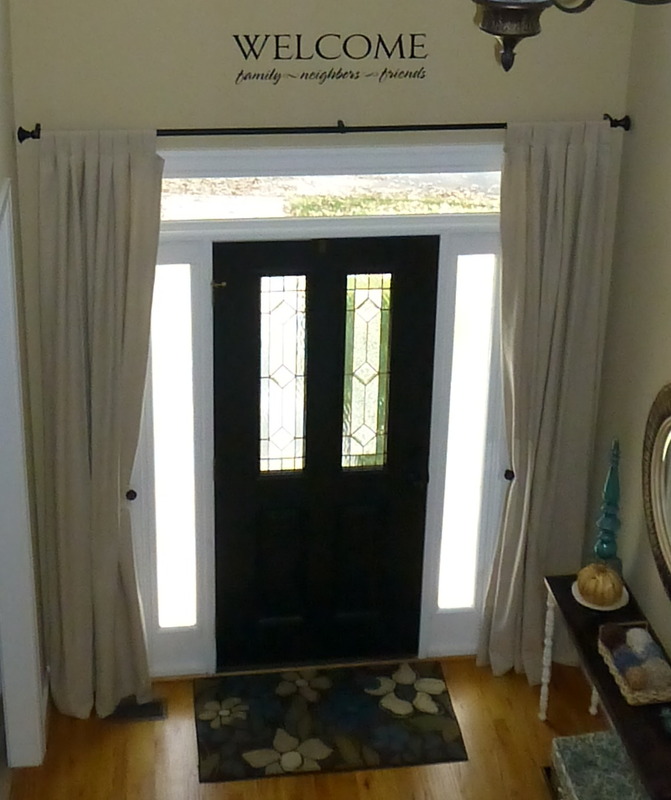 The majority of you loved the idea of using drapes at the front door. It was a look I never would have thought of had I not seen a picture on Pinterest. I loved it too! I picked up a set of drapes at Ikea. Ikea sells curtains/drapes at crazy, ridiculous, cheap prices. And they come in a package of TWO! A pair! You don’t have to buy two packages to cover one window. They come long and unhemmed so you can customize the length to fit your window. It’s brilliant! These look like linen and were only $20.00! 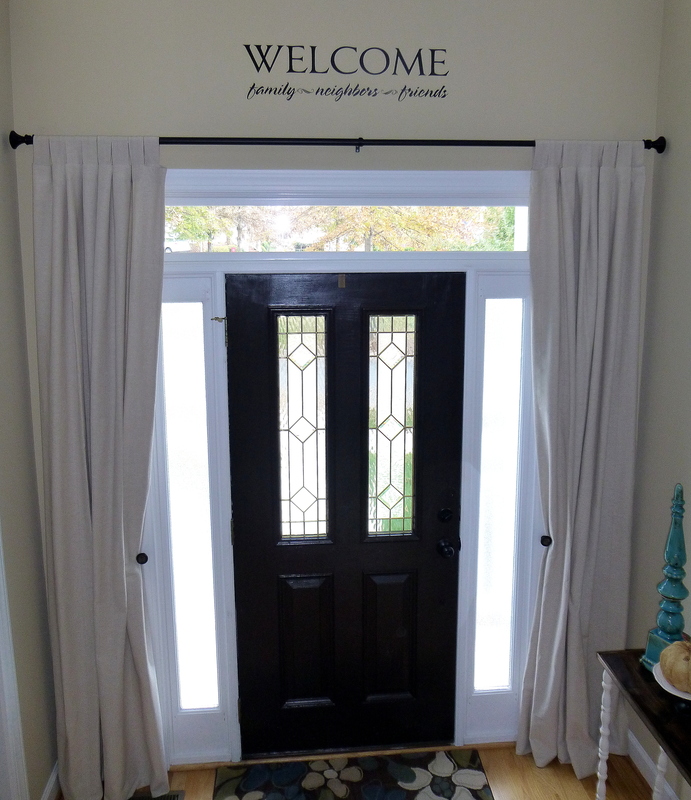 The “Welcome” wall art came from Hobby Lobby. $14.00 with a coupon. I bought the rod at HomeGoods for $14.99. The knobs holding back the curtains were $2.00 at Hobby Lobby. What do you think? Something you might try? Posted in DIY (you can do it! 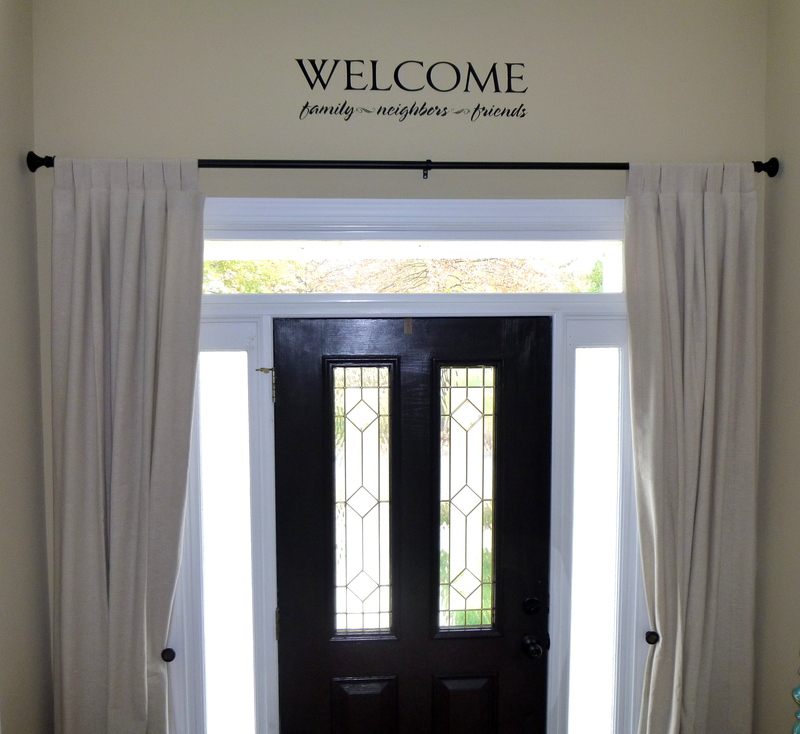 ), DIY Decor and tagged Curtain, Curtain rod, DIY, DIY blog, Do it yourself, Drapes, Entryway, Entryway Curtains, Foyer, Home, Home and Garden, home decor, home decorating, ideas, Ikea, Pinterest, Windows. Bookmark the permalink.